In the late 90s, several of us watch young Reese Witherspoon, Ryan Phillippe and Sarah Michelle Gellar star in Cruel Intentions the movie. And well we thought that was the last we would hear about this steamy story. NBC didn't think so, so they are now working on creating Cruel Intentions the TV series. In the TV series, the story will follow Bash Casey, the son of Sebastian Valmont (Ryan Phillippe) and Annette Hargrove (reese Witherspoon). The story will be set in present day as it follows Bash when he learns of his father's legacy. This will have him moving from Kansas all the way to San Francisco were corruptions, money, power and many other things take effect. 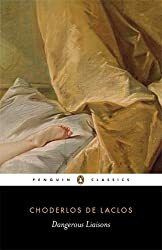 Cruel Intentions is based on the novel Les Liaisons Dangereuses by Choderlo de Laclos. Sony Pictures TV, whose sibling Columbia Pictures produced the movie with Moritz’s Original Film, is producing the TV adaptation alongside Original Film and AMBI. Roger Kumble, Jordan Ross and Lindsey Rosin will write the TV script. You have the original writer and director plus the team that put together the Unauthorized Musical Parody of Cruel Intentions behind this TV remake. So many questions to ask or wonder about. I guess they will all be explained in the TV show once its airs. First question they answer is how did Bash Casey get conceived. Spoiler Alert! Sebastian (his father) was killed in the movie!! !